Description: Otto Albert Hoyer was born in 1889 in the active town of Markneukirchen, Germany. 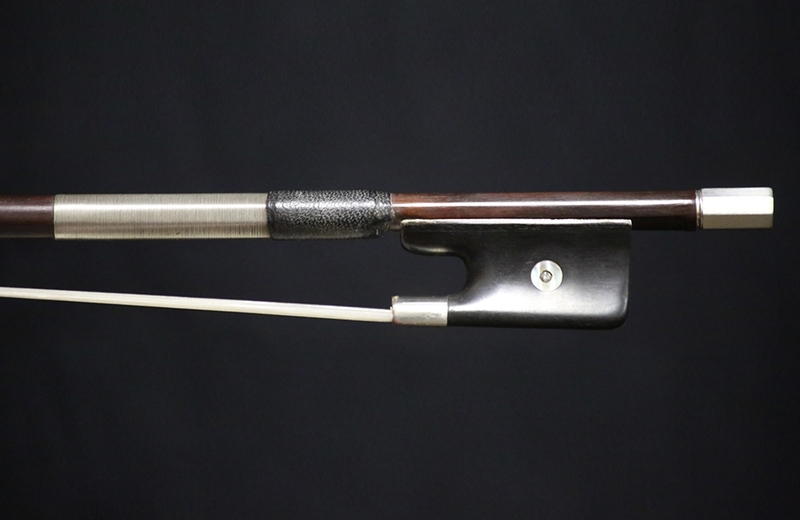 Coming from a family of violin and bow makers, Otto quickly became known as the most renowned maker of his family. He began his studies in Markneukirchen, until later moving to Paris where he studied with one the the best French makers, Eugene Sartory. Otto earned the nickname “Pariser” which he would stamp on his bows to reflect his French training. 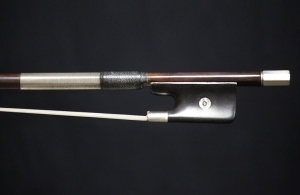 This particular bow is in very good condition. It is heavier than the average bow, weighing in at 90 grams, giving you powerful, smooth stroke across the strings. Draws a beautiful and rich tone. 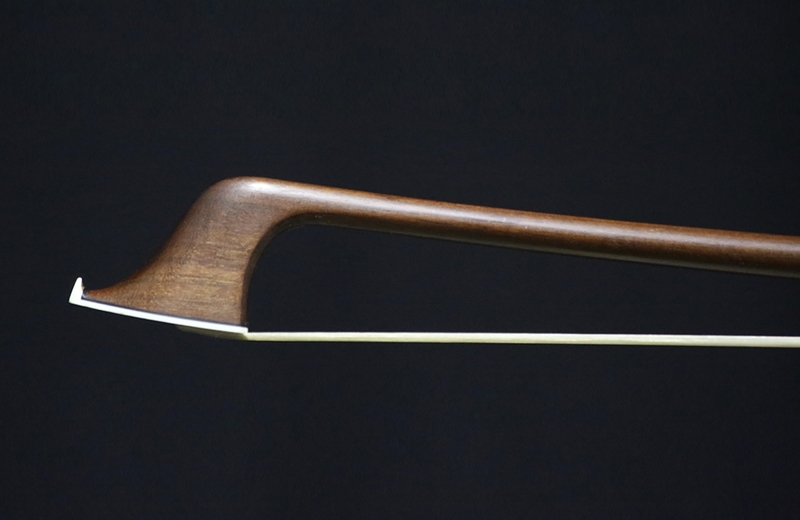 This particular bow was originally made as a “lens” bow with a picture of Otto Hoyer at the bench. The picture has since slipped down and is no longer visible. Formerly the property of the great LA, studio cellist, Armen Kaproff.